Kobe Bryant won't be playing later this afternoon when the Lakers tip-off against the San Antonio Spurs and he needs something to distract him from that painful reality. Luckily, his former coach is around to help. 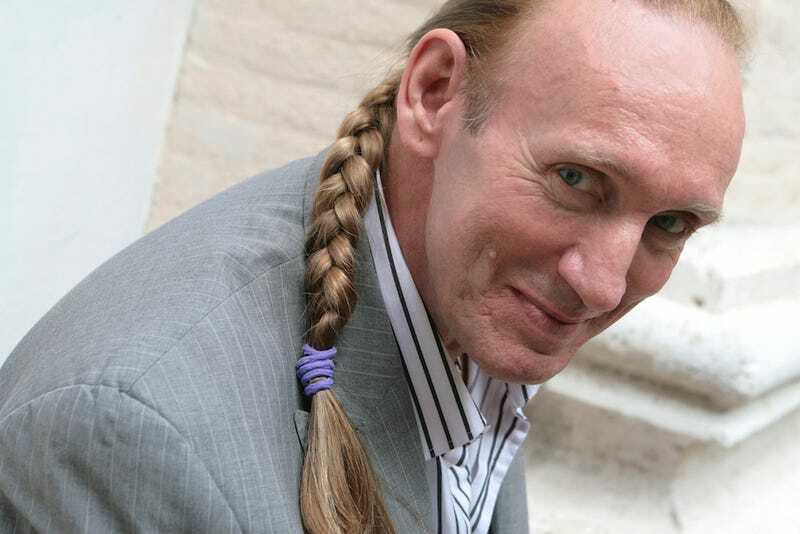 Shantaram, published in 2005 and written by first-time author Gregory David Roberts (pictured above), is an apparently semi-autobiographical novel about an escaped prisoner from Australia named Lin who becomes an apprentice to a sort of philosopher-gangster in Bombay, India. Sounds pretty heavy. Might we suggest Kobe just occupy himself with reading up on the author himself, rather than his 944-page novel, since that is quite the tale, too. Gregory David Roberts, born Gregory John Peter Smith, was a heroin addict who became famous for a serious of robberies in Melbourne in the late 70s, through which he earned the nickname the "building society bandit." He was sentenced to, and later escaped from, prison and fled to India for ten years. Long, 944-page story short: "[h]e joined the mafia in Mumbai, fought against Soviet forces in Afghanistan and married a princess," was eventually captured, served the remainder of his sentence and then after his release from prison, he wrote the book Phil Jackson just recommended Kobe read instead of thinking about work all the time.